The other day we got an email from Jon, a science teacher at Burnsville High School. Jon’s the kind of genuine guy who does all he can to help his kids get their A’s, and if a new computer screen will help, that’s what he’ll get. Now, usually the electronics and appliances we receive come to us beyond repair, but the only thing wrong with this monitor was a little damage to the box—the screen itself was as fresh as the first day of school. And since Jon was using it for education, we opted to donate the screen free of charge. “Once I found out what he was using it for, it was a no-brainer,” says our bossman Lance, who’s been known to donate gently used recyclables to help children’s sports activities, churches, and even breast cancer research. 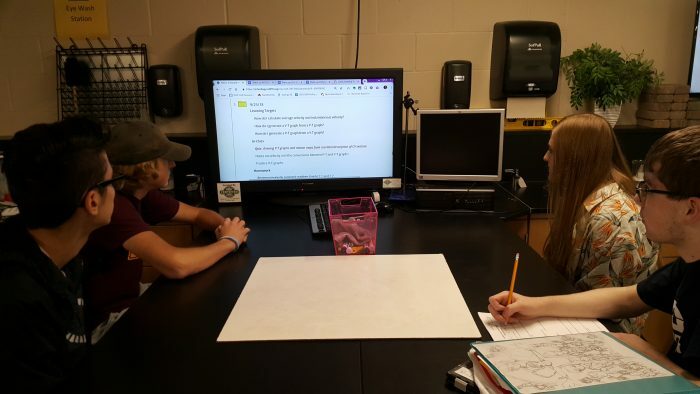 After setting up the new screen in his class, Jon sent us a photo of a few students using the monitor to grow their brains and earn their A’s. Jon even let his school board know that our superhero-like crew of recyclers saved the day once again.